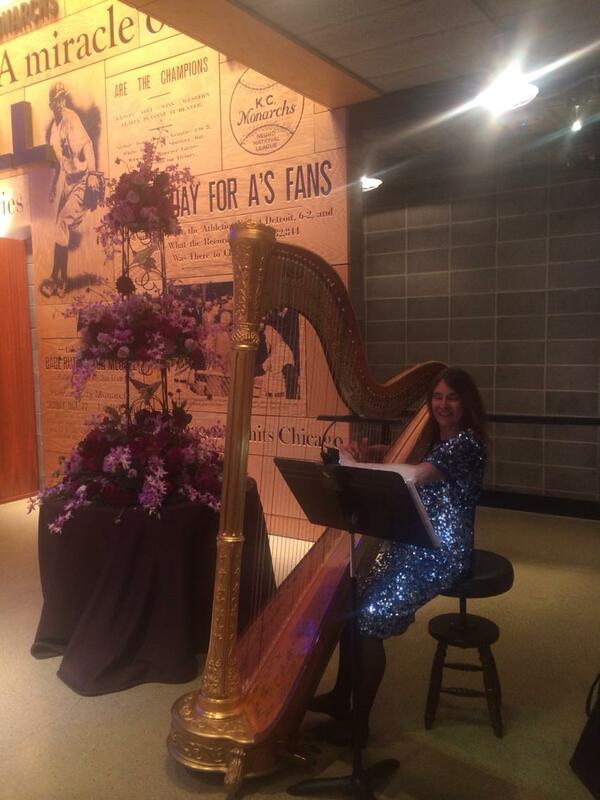 Create elegance and romance at your next event through the sounds of harpist Roseanne Gortenburg. Call us today to reserve your date. Our calendar fills up quickly; make sure to reserve your special event today! Reservations are scheduled based on a first come, first served basis. Click here to Save Your Date!! When planning an event like a wedding ceremony, wedding reception, rehearsal dinner, party, or special occasion, live harp music adds elegance and class and will leave a lasting impression on you and your guests. The harp's unique appearance and sound coupled with its romantic nature will turn an ordinary event into a memorable one. I am a professional harpist and I have played for intimate dinner parties of two as well as large weddings and corporate events of five hundred plus. Event types include anniversary, Christmas parties and other holiday parties, birthday, funeral, recitals, and more. Many contract a DJ (disc jockey) or band for their event, but a harpist brings not only a unique sound but the harp is elegant in nature. My Concert Grand harp is Gold and Rosewood with a hand-painted gilded design on the soundboard. I also have folk harps and am proficient on all. I have a flute and harp duo and a harp duo. I work with many professional musicians and can arrange for other ensembles including vocalist, violin, trumpet, etc. Many events will use a harpist for a wedding ceremony for example and dance music later. You will find my prices very affordable. I play in Kansas City, both Kansas and Missouri, Overland Park, Leawood, Independence, Lee's Summit, and most other surrounding communities. Contact me at (913) 422-HARP (4277).